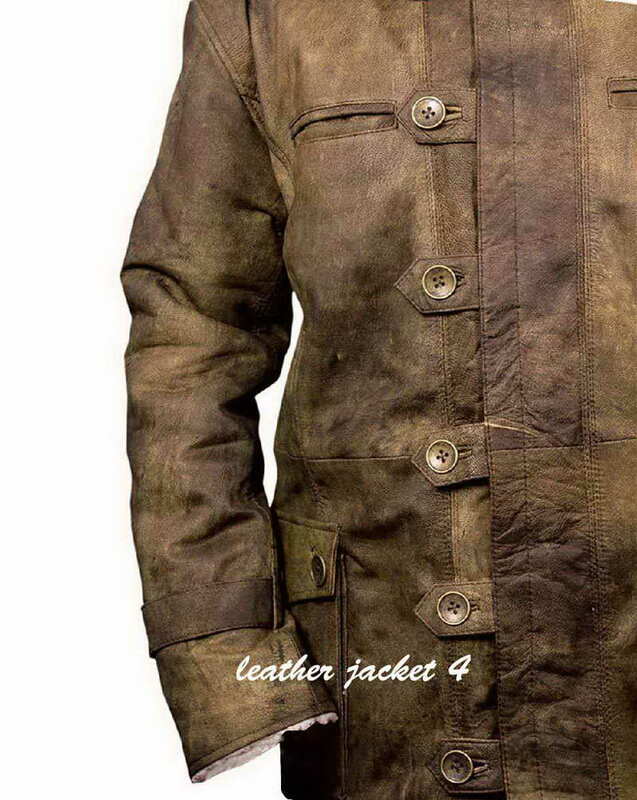 Mens' movies jacket, It's a stylish custom made leather coat worn by Christian Bale in his famous film Dark Knight Rises of Batman series. 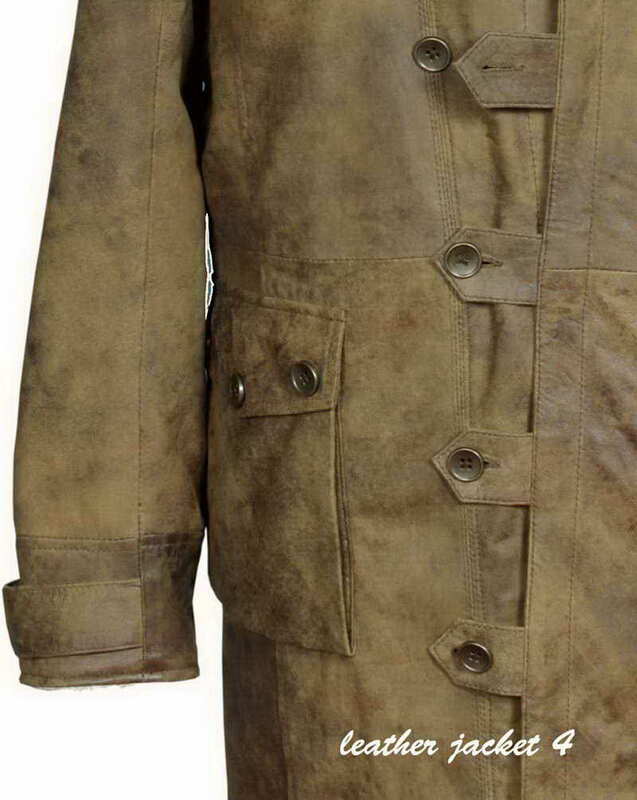 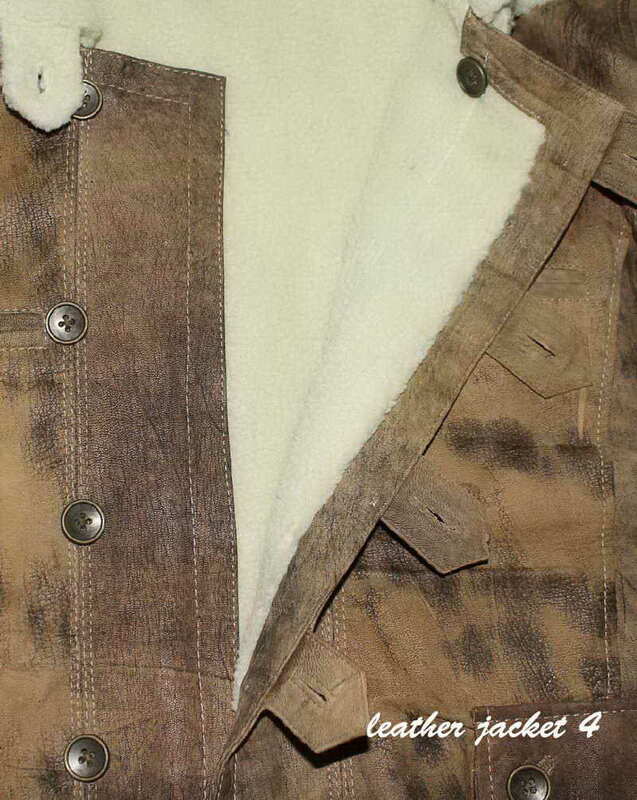 Bane Coat from The Dark Knight Rises is made with highest quality sheepskin distressed Brown leather. 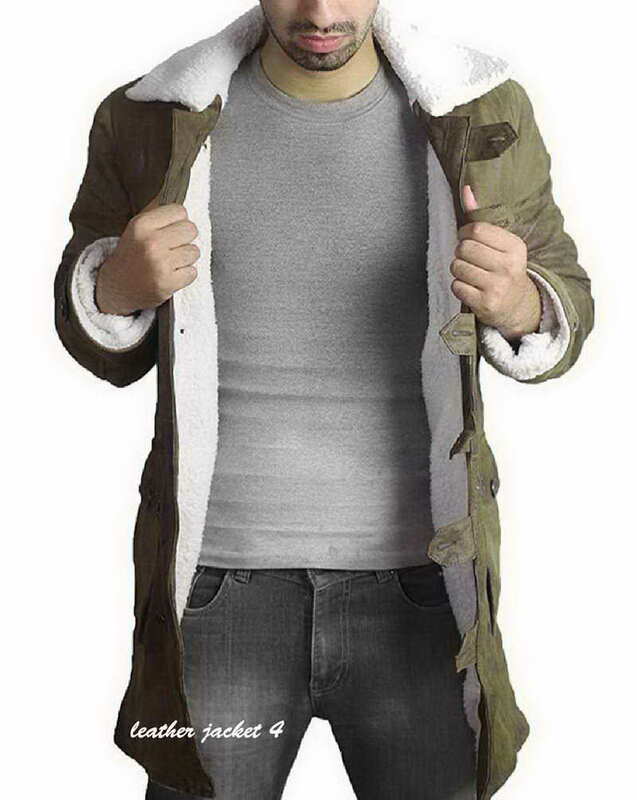 We use cozy shearling lining to keep you warm in an chilly weather, and loop style button closing makes a bold and stylish statement of Bane. 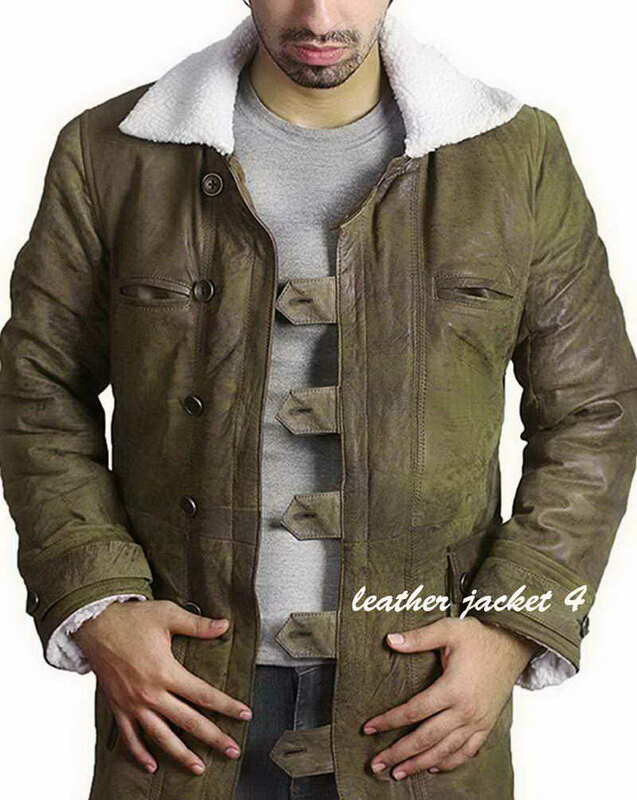 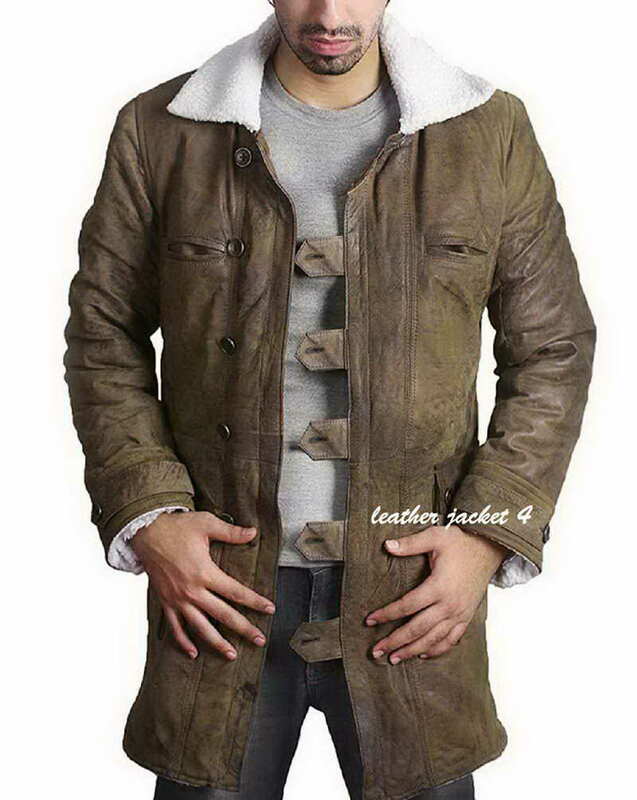 The jacket feels very comfortable just like its outer appearance here, I've just got my order and it is very nice. 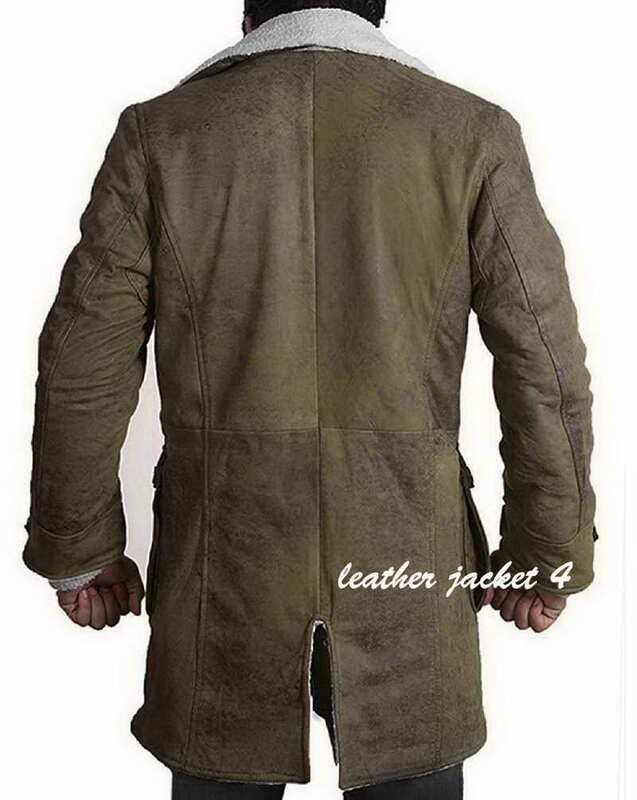 Fitting is just right, II'm impressed.